Hourly private lessons offered with your horse or ours. Great for working on and improving specific issues. Lessons with our horses are formatted to help beginner riders learn the basics of horsemanship and safety, both on the ground and in the saddle, as well as help more advanced riders progress in desired direction. Increase confidence and improve balance and seat! All lessons with Cornerstone horses are private. 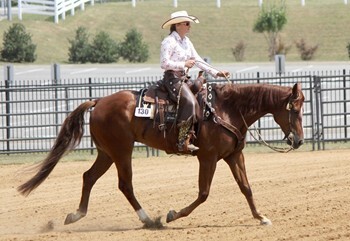 Lessons with your horse can address ground work or under saddle work. Focus can be on basic riding skills or show prep in multiple western disciplines. Lessons with your horse can help you gain respect & control, or learn to master specific maneuvers. Cattle/buffalo work and trail obstacle work available. Email cornerstonehorsemanship@gmail.com or call 540-292-5213 to schedule lessons.